The car made its first appearance in the film “Casino Royale” in which Daniel Craig debuted as James Bond. You can see a clip of a Mondeo rental car being steered by 007 as if it’s a Maserati or Ferrari by simply making a decision to click on this word here. You’ll notice an old friend is strategically parked in the background when Bond kneels to tie his laces for a suspiciously long time. The lead-in to the 2007 Mondeo took the form of the Iosis concept, shown in Frankfurt in 2005. When showing this car, Ford’s designers “promised that the new Mondeo was to be more dynamic and emotive and a product of the new Kinetic Design philosophy expressed by the Iosis” (wrote Auto&Design). Looking back, the Iosis seemed only to serve to make the production Mondeo look timid when really it wasn’t – it was a convincing revision of Ford’s entrance in the C-D class. Auto&Design joined in in the butchering of the outgoing Mondeo: “As always it is the market’s turn to decide the fate of the new car, but at least it can be said that the Mondeo is entering the fray with a coherent design that is more incisive than its predecessor”. Martin Smith, then Ford’s design chief called the new Mondeo “the most complete expression of our new design language, Kinetic Design, in a production model.” Language is expression. 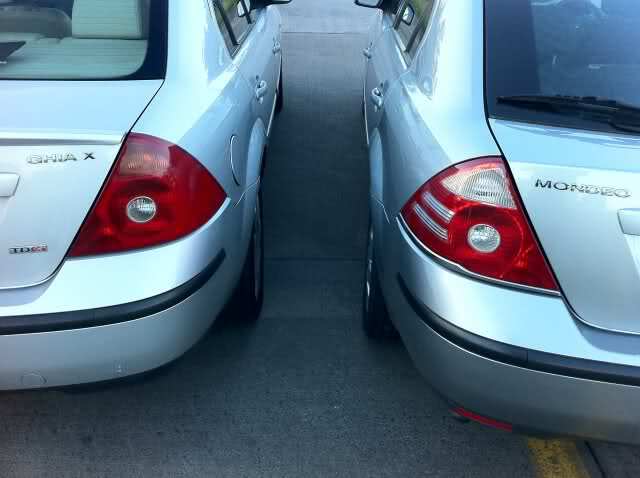 The cars launched before the 2007 Mondeo were the Galaxy and S-Max. They seem to be, according to Smith, incomplete expressions of Kinetic Design. They seem fine to me. 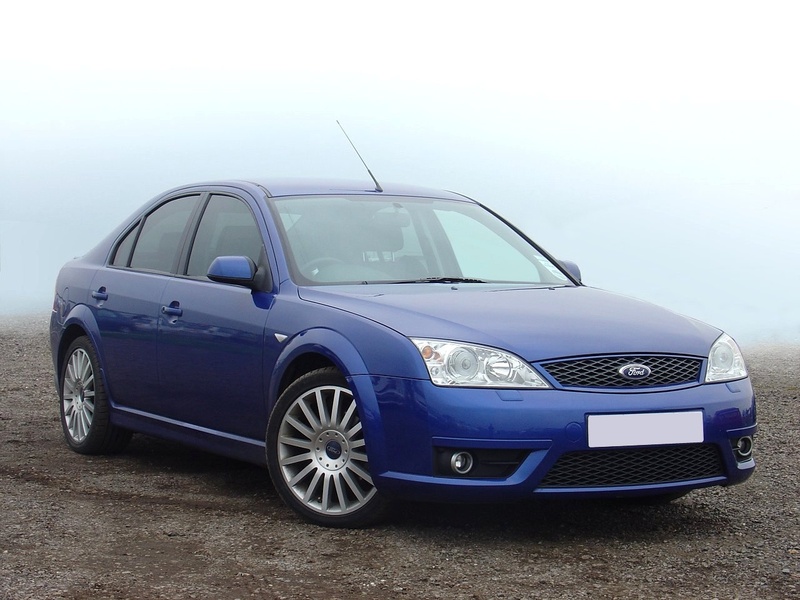 Rather oddly, Martin Smith went on to say “For too many years now the faces of our products have not been well-enough defined”, and suggested the 2007 Mondeo had avoided that problem. This is another one of those odd remarks which doesn’t bear scrutiny. Did he mean the front graphics were not consistent from model to model or did he mean they were always blurry and out of focus? Neither option holds water. I should really pay more attention to the “design language” concept which is used extensively in the explanation of the Mondeo. Smith referred to the language’s flexibility and “its sculpted, dynamic and emotive forms are well suited to a premium car such as the Mondeo”. It’s not really Smith’s fault – he has simply picked up a metaphor from some tertiary source in design literature without considering how flakey an idea it really is. It sounds as if the forms are entities glued onto the Mondeo when they are the Mondeo. The Mondeo is defined by forms of a certain character, being sculpted, dynamic and emotive. These things don’t correspond to parts of speech because speech is itself and its correspondence to objects is arbitrary. The forms of the Mondeo have a character, identified as Kinetic Design. Those characters are being sculpted (having surfaces with complex geometry), dynamic (this might have to do with proportions and angles of inflection) and emotive (hard to pin down as this quality is a result of the first two). How do these correspond to language? They are not nouns. They are not verbs. They are not grammar. They correspond to the tone of speech that we recognise as emphasis and emotional colour. If we turn away from the design-speak and look at the car, we see a vehicle which differs from its predecessor by being bigger and having fuller surfaces and a raised belt-line. Interestingly, despite the high concept of the design (it’s “Kinetic”) the Mondeo returned to Ford’s normal mode of contemporary vernacular whereas the predecessor has a much stronger design theme, making for a cool, aloof and very disciplined set of forms. The Mk 2 didn’t need a show car to “explain it” whereas for some reason the Mk 3 does, the Iosis serving to make clear what is less clear on the production car. Intriguingly, Auto&Design quotes Claudio Messale as saying that the Iosis and production Mondeo were designed at the same time: “the concept car and the production car mutually influenced one another,” he said. The main things I get from this are that a) the language metaphor does not work for design except at a very, very general level, b) the Iosis defeated its purpose and c) the Kinetic Design was less of a high concept than the one it replaced though no worse than the kind thing BMW had been doing for decades. Form language? It’s a useless concept. What it refers to is the consistent application of a limited rule set to a grouping of conjoined objects: character of radii (big or small), character of surfaces (flat or full) and angles of inclination from vertical or horizontal. Styling doesn’t even correlate to grammar because grammar is about arbitrary words and specified word orders. The only part of language styling corresponds to is tone or inflection. Good evening, Richard. You make a good point about the rather casual use of the word “language” to describe the business of styling a vehicle. I’m afraid that I’m as guilty as anyone in this regard. It was, however, quite a colour sensitive design. Low line models in dark non-metallic colours looked rather drab without any brightwork to relieve the gloom. It was also a design that resisted attempts to “gild the lily”, so to speak. The post-facelift tail lights were particularly jarring and dissonant. I rather liked the restraint and discipline of Ford’s “New Edge” era. It’s a shame the underlying quality was sometimes a bit lacking. By comparison, “Kinetic Design” always appears to be trying a bit too hard to be “dynamic”. The Mk4 Mondeo in your photo above is rather slab-sided and bottom heavy, undermining the “dynamic” intent of the shallow DLO. Praise be. A comment. Thank you. The Mk 3 started out with a tendency to drabness which diminished over time. I must admit I am sucker for the extra shiny bits, including the glittered rear lamps. The car in all its forms looked deadly serious, as did Martin Smith´s own Vectra which came out a little later. What is wrong with the Mk 4? It´s not bad and I drove one once – big and refined. It´s that if you look at the car and not listen to the words, it has a lot more noise to very little advantage. They had to do something, that was something so they did that. What else could they have done? We´ll never know. Maybe keep the dimensions as per the outgoing car for one thing. Regarding the style, it is hard to go back and propose alternatives for a passed time. I should be clear: it´s far from a bad car and offers a lot of value for the money. Like the 407, it could not live up to its predecessor which maybe was just as much a result of circumstances plus talent as the Mondeo Mk3. I always liked this Mondeo in its pre-facelift form. An ST220 estate was a wonderfully understated performance car. The only thing that always put me off was the quality (or lack thereof) of its interior. Carelessly designed and made from crap material it couldn’t stand a comparison to a VW Passat. “…a sucker for extra shiny bits” What an extraordinary confession! I’m in a state of shock and bewilderment. Surely that is grounds immediately to convene the DTW Disciplinary Committee and deliver some summary justice for such a foul transgression of the designers’ code? Indeed – it is is odd, isn´t it? I am not the purist some might make me out to be, even myself. I haven´t seen a car with too much chrome yet. Some cars look good without it too. It doesn´t have to be there, I should add. But a bit of tinsel can really lift a shape. The 406 (hallowed be its name) is crying out for chrome frame on the side glass. Like the early Mark 3 Mondeos (I consider them Mk2s) they are sooooo drab. It’s interesting how we recall things once a number of years have passed. I don’t think I ever really understood the difference between ‘new edge’ and ‘kinetic design’ so have spent an interesting last hour trying to pick the two apart. But to the untrained eye (mine) I think there is a coherent group which actually consists of the 2001 Mondeo, 2003 Fiesta, 2004 Focus and 2006 Galaxy and S-Max. If I understand correctly Ford would class some of these as new edge and some as kinetic design though. Am I still missing something? The best example of the transition is the 2007 Kinetic facelift to the Mk2 Focus, which added more creases to the flanks and a more “expressive” front end. It’s a moot point as to whether or not it improved on the New Edge original. We covered this New Edge thing some years back: my conclusion is that New Edge appeared applied to the organic shapes of the Puma and flowered on the first Ka, the Focus, ( the 1999 Fiesta facelift had some) the Cougar. The 2000 Mondeo didn´t really adhere to it, in part because it was not right for that class of car and because J Mays had taken over and was dialling back on the idea. The next set of cars: the C-Max and Focus Mk2 were not New Edge and not Kinetic but were very serious in a VW way, the work of Chris Bird That seemed not to go over and some company politics must have happened, the direction changed towards Kinetic Design. I was underwhelmed by the design of the second generation Mondeo. Sharing a triangular indicator side repeater light with the Focus does not a New Edge design make. The circular bits of the rear lights always reminded me of the “CND” lights of the very first Ford Cortina. The Mk3 Mondeo was a much more interesting-looking car to me and actually quite subtly North American. Gosh. I really can´t agree. That car, the 2000 Mondeo is a tidy and neat bit of work. “reserved” as Chris Bird called it. You are correct, it was not New Edge because it had to be a more sober car than the Focus and Ka. And yet it did not jar visually when placed next to them. Claude Lobo was the designer for most of it as far as I understand. According to Wikipedia he retired from Ford in 1999. Assuming he stayed active until the end the Mondeo is one of his even if J Mays is credited with it. “Regarding the design of the Focus, Lobo was a smoker and located the ashtray high on the instrument panel, enabling the driver to use the ashtray without removing his hands from the steering wheel”. Yes – at the time I thought it was a poor rip-off of the B5 Passat / Volkswagen design themes of the time, right down to the rubbing strips in the bumpers. In retrospect, that’s probably unfair. It’s nonetheless true that Volkswagen and others forced Ford to do better. The turn of the millennium was the start of the rise in volume for the premium brands. I have to admit that my views of the Mondeo are tainted by many hours driving and travelling in MK1 facelift versions. Cramped, plasticky, with sticky velour / hard, greasy light grey leather, mean specifications, rust in the paint around exposed screw heads even when new… shudder. Very tough and reliable cars, though. Contrast the Mondeo and Iosis with the Ford Sierra and the Probe 3. The Probe was produced after the Sierra had been designed, to pave the way for a radical new model. I think the Iosis is what you’re meant to think of when you see the Mondeo. Unfortunately, as a concept, the Iosis doesn’t come across as being an outrageous dream – it just looks like a missed opportunity. Indeed – as I said in the text, the Iosis served to make the Mondeo look disappointing. Being Ford the Mondeo had to have a good package and be practical but they really wanted it to be seen in the way the Iosis was. In the end, the car just didn´t look nimble or agile or compact enough. You know you can throw a Mondeo Mk2 around country lanes in the way the replacement car doesn´t really seemed able to. There is an optimum size for a saloon with sporting aspirations and the 2007 car is past that and looks past that. It´s really a Granada. Hi Richard, it’s interesting that you perceive an additional design language (sorry!) at Ford between New Edge and Kinetic. You make a persuasive argument for it, and I’m inclined to agree, but it was, if I recall correctly, never acknowledged officially. Rather, the Mk2 Focus and Mk3 Mondeo were presented at launch as the refinement and maturing of New Edge. In fact, the Mk2 Focus was rumoured to be a more conservative alternative proposal for the Mk1, which was disinterred seven years later. In any event, I’m sufficiently persuaded to want to christen the additional design language. How about “Rational Volkswagen”? The interim styling theme was the better for being a bit less unselfconscious. I rather dislike the habit of giving building nicknames (The Gherkin, the Walkie Talkie or, in Hamburg: the Brick ffs). Giving styling themes a name is equally daft unless a third party finds a name to stick to it. Is Ford one of the few firms to tout these names? Renault, Citroen and Opel don´t seem to. Waku Doki and Sensual Purity and Art & Science are first three I can think of. Mazda´s one – anyone remember it? I believe it’s called Kodo. ‘The soul of motion’ or some such. Let us not forget BMW’s ‘Precision and Poetry’ while we’re here. Those wavy lines were the only aspect of the car to be conspicuously different from the rest of what Mazda was doing. They really are decoration and could have been deleted with no negative effect on the car. You can rest assured you are not the only one who noticed that that trope never made another appearance. New Edge wasn’t only about the looks of a car, it also defined a way of making it. If you look at the Ka you see very clever details like the toilet seat-like rear glass hatch that can be adjusted for even panel gaps all round very easily. Or the transition from bonnet to front wings where the actual edge is not in the metal but in the panel gap, making it very easy to achieve even panel gaps along the bonnet. This all helped to bring down production cost for the Ka and quite obviously wasn’t that necessary for a Mondeo. Hi Dave: indeed I remember that point about New Edge. I´d have thought that a way of ensuring quality fit and finish mattered all the way across a range. The thing is that if New Edge was *the* way to make a car neatly, why did it disappear so entirely? I suspect the fitting was a bonus or unrelated to New Edge. I’ve been looking at the generation of Mondeo in question here (the Iosis related one) quite a lot recently. There are still a large number around and I think they are quite distinctive and interesting to look at. The ‘face’ in particular stands out, as does the way the boot/ rear hatch is kind of bowed, streaming into the upper edge of the rear lamps. To be honest, I had forgotten that the S-Max had come before this car – it was a real success for Ford and one sees them everywhere. This Mondeo also drove really well ,having an excellent balance of mature ride and game handling helped by direct and tactile steering. It was made to look a little old-school by the first generation Insignia (I am of an age where Ford and Vauxhalls will always be fierce rivals in the UK) and, as such, I went off it a bit, but looking at them again now, I can appreciate that it was a case of Ford Europe trying to cleave its own furrow. The current Mondeo, it’s replacement, has a handsome face (I like the narrow headlamps), but looks like someone who has recently taken on quite a lot of timber and seems unfeasibly large for a car in this class. By all accounts, it also drives less well than its predecessor. It seems highly unlikely it will be replaced, given that Ford in the US no longer wants to do saloons – the only hope is that something will be spun off the new Focus’s platform to fill the void, which might be desirable to help cover the development costs of that platform. There is an increasing sense that Ford’s range of cars is becoming threadbare and incomplete, a bit like the way that FIAT has dwindled. I know that its management has decided that the future is all autonomous and Uber-like, and that people won’t be buying cars int he future, just using them as a service … but it’s a bit sad that they can’t find the funds to keep a full range sustained. That last point is salient. There are still lots and lots of cars being sold: look at all the vehicles sold by Dacia, Kia, Hyundai, Toyota and so on and so on. BMW and Mercedes seem not to be able to manufacture them fast enough. VW sells and sells and sells. So, it´s not that the car market died overnight and Ford had to get out. Something is wrong in their business model and stays wrong. None of their cars are bad and alot of them are good and more than good enough. Even the Mondeo which I don´t like a whole lot (nor do I dislike it) is a decent machine and good value for money. So, what´s with the gradual withering and persistent inability to turn a profit very often? What would it take to make another 200,000 people buy a Ford? Can it be so hard? In 2017 Kia sold nearly 400,000 cars in Europe, all of them in the Ford price range. I don´t know if they made much money of it but from the customer perspective, 400,000 people bought one instead of a Ford. It can´t be image, can it? Correction: 385,000 Kias sold in Europe this year to date. The hybrids helped the push. Where are Ford´s hybrids? You have to feel a little sympathy for Ford. 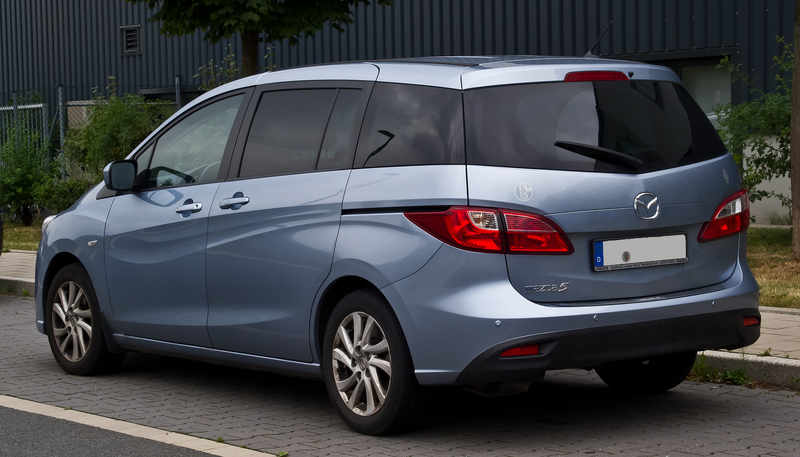 Like Opel/Vauxhall, their image is tainted by the perception that their vehicles are little more than automotive white goods, bought either by those who are more interested in the discount on list price they can negotiate than the product itself, or those company car drivers who are not given a choice and have to take what they are given. There, however, is where my sympathy ends. Ford and GME made a rod for their own backs with their “deep discount over list” pricing model, which cheapens the perception of the product and bites cash buyers back at resale . Moreover, their dealerships have a reputation for pretty indifferent and offhand after-sales service (although I’m sure there some/many exceptions to this). I’ve only ever owned one Ford, a Mk1 Ranger pick-up (which was a restyled Mazda B2500). The after-sales service was very good and efficient, I guess because Ford value(d) repeat business from commercial vehicle customers more than from private buyers. It’s a sad state of affairs that the South Korean marques, relative newcomers in the market, are regarded more highly than Ford or GME. Quality vehicles, long warranties and excellent service are far stronger incentives than history or tradition to modern car buyers. By all accounts an excellent car, the new Focus is, for me, pretty depressing. Its design is competent, but not much more than that. It has been described as so bland and derivative that it could have been produced by any manufacturer. I don’t think that’s really true, because even the South Korean manufacturers have their own identifiable design tropes and a coherent style. * Apart from Dacia and Skoda, of course. Ford and GM are both American firms. I think their managerial mentality reflects this and note that the more Ford and GM became integrated with their motherships the more their status sank. When they were local operations run by locals (as in sophisticated, intelligent, educated, slim, cultured, well-dressed, courteous and heroic Europeans) they did rather well. I think Ford´s cars right now are perfectly good as in they do more than is expected of a car. Something else is wrong, something outside the design and engineering. Of course, I wish the Focus looked otherwise. I have yet to see one on the street. Are they on sale yet? Hi, Richard. The new Focus went on sale (in the UK) on 9th April. Are you sure you haven’t just looked straight past one? They remind me of those badgeless, anonymised cars you see in advertisements for other motoring related products. Um, April was a long time ago. I swear I have not seen one here in Aarhus. And not one in Flensburg either and none when criss-crossing Europe this summer. Whoah, Nellie. Now that you tell it, I can’t remember seeing one, either. I see new Fiestas from time to time (they’ve been on the market for a bit longer), but they are far from ubiquitous as they were fifteen years ago. The current Mondeo is a rare sight as well. The only thing I see are Kugas. It was considered a badge of honour to distinguish not just cars but their various models or changes when we were young (many years ago) ; nowadays, is it a Focus or Fiesta? It really is difficult to tell, I’m not that bothered and I’m bored of Ford. As already said in above posts, there’s nothing wrong per-se with Ford’s current range but not is there much right. Focus or Fiesta? E or C class? X4 or X6? It’s impossible to tell today, and it’s not a Ford malady. It´s not just a Ford thing: sometime after 2000 it became harder and harded to make meaningful changes to a car´s styling when a new model was introduced. The “design space” is well explored now. Additionally, there is a lot of activity in the SUV/CUV area and these vehicles are especially samy. Given the choice of nice or distinctive, there is a strong imperative to go for distinctive. The Hyundai Kona has so many indents and tabs and dog-legs that it looks like a mass of wobbles. But, it looks distinctive.